Early spring flowering shrubs are a great way to bring bright and seasonal colors to your landscape. 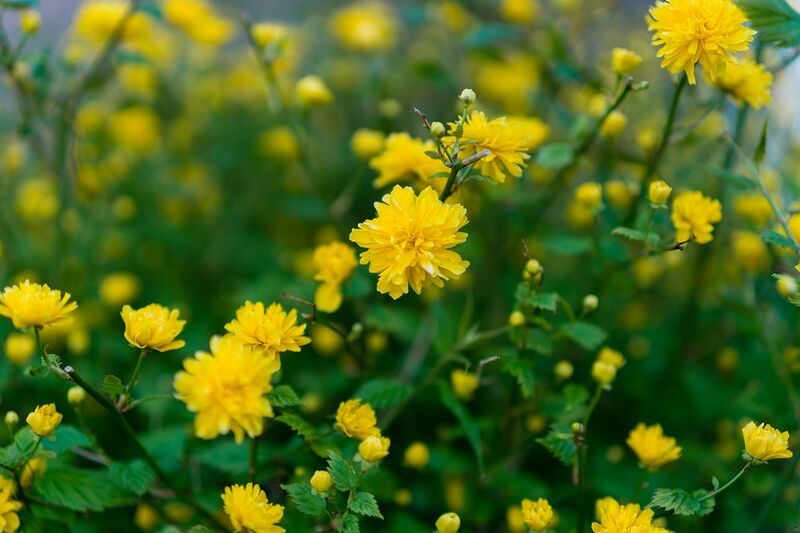 Valued for their March or April blooms, these shrubs offer more than just pretty flowers. 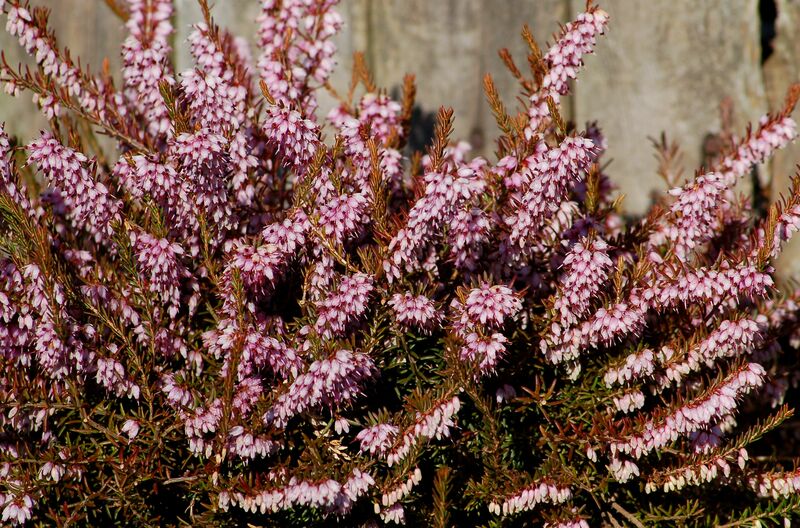 Winter heath begins blooming in the U.S. Department of Agriculture plant hardiness zone 5 during late fall and continues blooming into spring. These flowers persist throughout winter and are still going strong as spring rolls around. Bridging the gap between the end of one growing season and the beginning of another, this is one special plant. Witch hazel plants are flowering shrubs that are prized for their bright blooms that arrive as early as March. The plant has yellow flowers with a warm, spicy fragrance that precede the leaves. It blooms in late winter into early spring. Forsythias are flowering shrubs known for their long branches that get full with brilliant yellow blooms early in spring. The forsythia belongs to the olive family and grows in zones 5 through 8. However, once these shrubs bloom in the spring, you will have to wait until next year to see their bright yellow color again. Andromeda (Pieris japonica) is a shade-tolerant bush that can start blooming as early as March and has distinctively fragrant flowers. Some people find their smell offensive, while others find it pleasing. If you dislike strong flower aromas, you may not be a fan of these blooms. The flowering quince is a thorny, multi-stemmed deciduous shrub. Despite its somewhat messy growth habit, this shrub produces beautiful red, orange, white, or pink flowers that bloom as early as March or April. Related to roses, flowering quince has a thorny exterior and an easy-to-grow nature, making it a good choice for barrier plantings. The Japanese rose is a somewhat fanciful common name for Kerria japonica. It is not a rose in the traditional sense since it does not belong to the genus Rosa, although it is, in fact, a member of the very large rose family. This bush puts on a magnificent display when in bloom, but its contribution hardly ends there. You can see its bright yellow blooms and kelly green bark in zones 4 through 9 during early spring for up to six weeks. Korean spice viburnum is a flowering bush that transforms three times throughout spring, summer, and fall. With flowering blooms that can be seen in early spring, this plant will grow best in zones 4 through 7. However, its blooms transform into bright red berries in the summer that mature into a dark, almost black, hue just in time for fall. With landscape value in both spring and fall, Dwarf fothergilla is one of those shrubs that serves double duty. It grows best in zones 5 through 8, and its bottlebrush-like blooms can be seen in early spring. These flowers mature by transforming into orange, yellow, green, and purple hues in the fall. Daphne features early-spring blooming flowers that have an incredibly sweet scent. This shrub grows best in zones 4 through 8, and its small red berries and variegated leaves make it a great evergreen option. Golden Oriole azaleas bear light orange flowers that bloom in early spring and mature into red-orange hues in the fall. They grow best in zones 5 through 8 and can reach a height of 6 feet. There is no doubt that azaleas are among the most popular spring flowers in North America. The Stewartstonian azalea is a red-flowered evergreen shrub that blooms in April and grows best in zones 5 through 8. It is yet another early-spring flowering shrub that transforms its flowers and leaves into a dark red hue by fall.